A quite superb selection. Billed as 50 years of Fritz Leiber many of the stories are uncollected before and the others are classics. The cream of octogenarian Leiber’s fantasies, holding 50 years of stories (44 selections) in one giant volume that can be seen as the capstone of Leiber’s storytelling–although he has written some well-remembered novels (Gather, Darkness and Conjure Wife, filmed excellently as Burn, Witch, Burn). 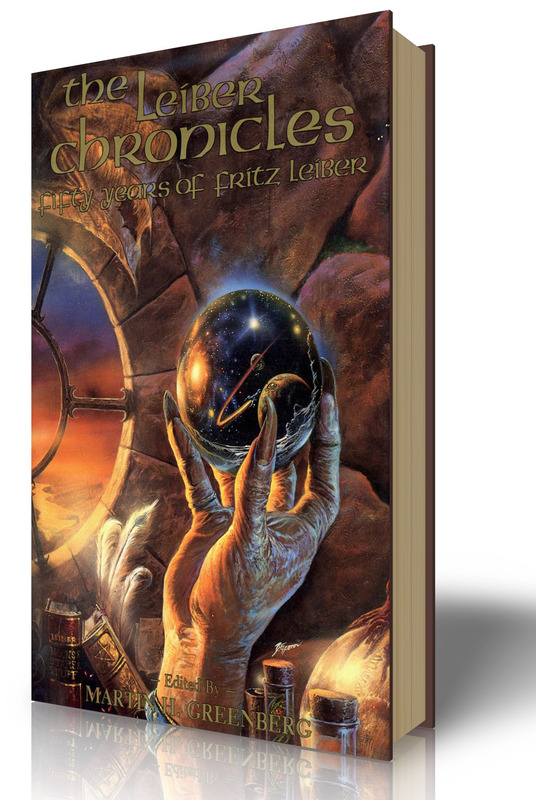 The present collection includes the second earliest swords-and-sorcery fantasy in Leiber’s Grey Mouser and Fafhrd series “”Two Sought Adventure”” (1939) and the latest, “”The Curse of the Smalls and the Stars”” (1983). “”Curse”” may be Fafhrd and Grey Mouser’s swan song, in that they die–for a while. If their deaths turn out to be only flirtations with death, the farewell notes seem to have sounded. There’s not a dumb story in the book, though some–such as “”Poor Superman,”” the story of a gigantic artificial intelligence–have been outdone by others. Leiber’s classiest acts are here: “”The Automatic Pistol,”” in which a dead hood’s pistol pursues his murderer; “”Smoke Ghost””–a juicy updating of just what a modern ghost should be like (“”A smoky composite face with the hungry anxiety of the unemployed, the neurotic restlessness of the person without purpose, the jerky tension of the high-pressure metropolitan worker. . .the aggressive whine of the panhandler. . .and a thousand other twisted emotional patterns. Each one overlying yet blending with the other, like a pile of semi-transparent masks. . .””); “”Gonna Roll the Bones,”” “”Ship of Shadows,”” “”Ill Met in Lankhmar,”” and the ironic antidefamation fantasy “”Belsen Express””–which is a gasser. Leiber’s best collection ever.